Jurgen Klopp revealed he was eager to add more pace to his squad when Mohamed Salah was recruited this summer, and the threat of Liverpool’s lightning counter-attacks was demonstrated by the new signing’s breakaway goal in their 4-0 victory over Arsenal in Matchweek 3. 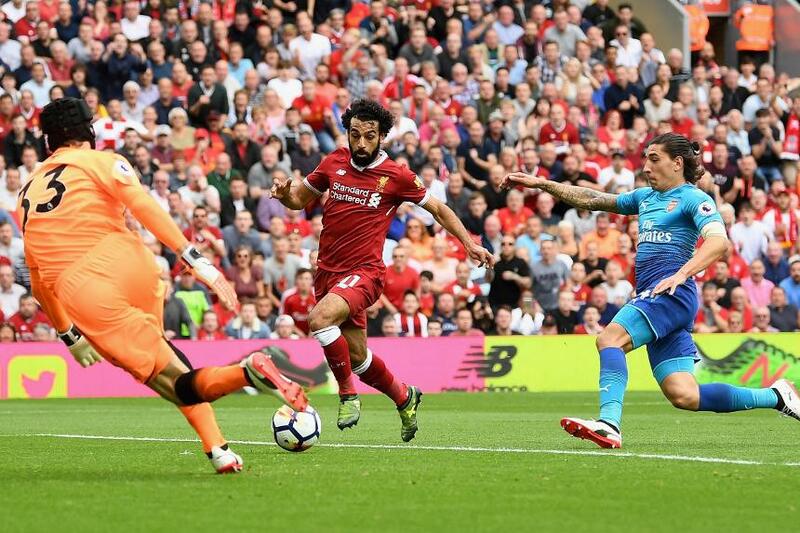 The Egyptian hit the net just 12 seconds after an Arsenal corner to make it 3-0 and Opta recorded the speed of Liverpool’s move downfield as 9.9 metres per second. That makes it the fastest move leading to a goal in the Premier League this season. But it wasn’t a one-off. Of the fastest moves leading to open-play goals scored so far in 2017/18, Liverpool have scored four out of 20. 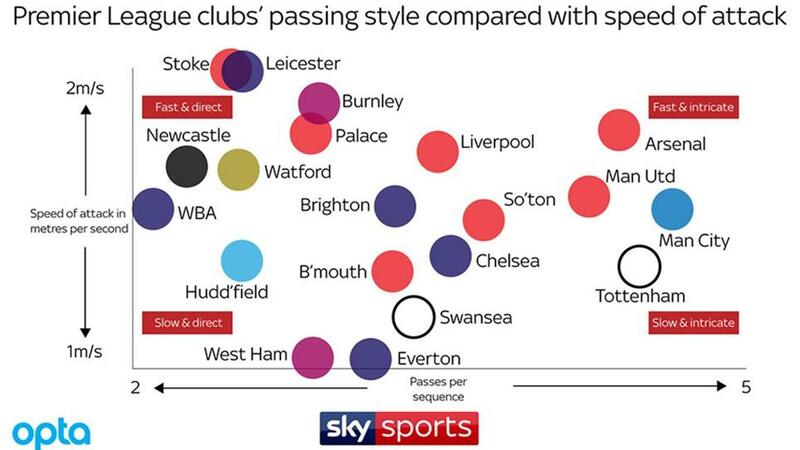 This data comes courtesy of Opta’s new analysis of passing sequences and the speed teams can move the ball forwards, known as “direct speed”. Sequences are passages of play which belong to one team and are ended by defensive actions, stoppages in play or a shot. Direct speed is progress (distance upfield) divided by sequence time. The numbers also paint an interesting picture of the diverse playing styles among Premier League clubs. Stoke City and Leicester City, for instance, are the quickest at progressing attacks towards the opposition goal, with their moves averaging 1.99 metres per second. However, they use very few passes to do that. On average there are just 2.48 and 2.54 passes per sequence in their moves respectively. Arsenal are among the top five teams when it comes to the speed (1.79 m/s) they move the ball downfield yet they use 4.38 passes on average. Liverpool’s attacks average a very high direct speed of 1.72 m/s, with a mid-range 3.49 passes per sequence. For Manchester City this weekend - themselves the team with the most passes per sequence - the potential threat from pacy Liverpool is clear to see.